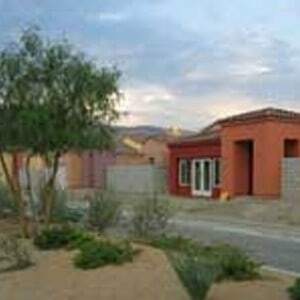 Palm Desert, CA – 160, home subdivision with 4 design types in 2 different villages. A crew of 4 workers can easily complete the ECO-Block walls of one house per week. ECO-Block won the bid over other ICFs due to the support offered by the company, including technical assistance and on-site construction training.